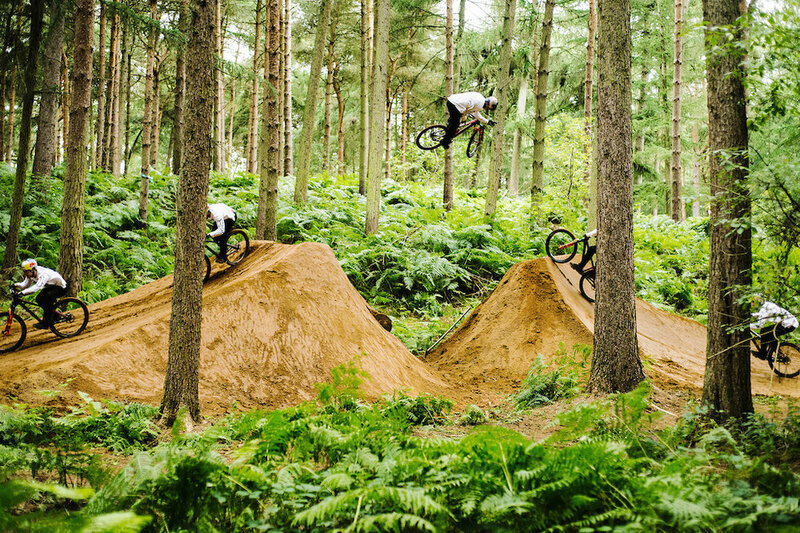 Filmed on his own purpose built trail at Rushmere Country Park, the latest film sees Red Bull’s young gun demonstrate unique tricks including world-firsts in freestyle mountain biking: Bum Slide, 270 Rim Bonk, Hitching Post Flip to Feet, Decade Tsunami, Superman Backflip to tuc no-hander. Within the film, an advanced editing technique ‘rotoscoping’ was used by Cut Media to enable the audience to see what going through Matt’s head as he prepared for seemingly impossible tricks. This required an intricate process, cutting out countless sequential frames, in order to create the floating ‘traces’ seen in the final production. comeback after injury. Grinham commented: “The most important thing that you must do is accept the worst possible outcome. You will never perform your best if, while you are competing, you are thinking about getting hurt. Once this is done, it will allow you to perform free and without worry.” Their partnership was the inspiration behind the film. Matt Jones was forced to visualize his tricks with very little physical practice when he broke his wrist following a crash at Crankworx Rotorua, weeks before filming started. If you don't giggle at this you must be made of stone! Matt Jones the T-Rex on a bike doing some jumps - class!